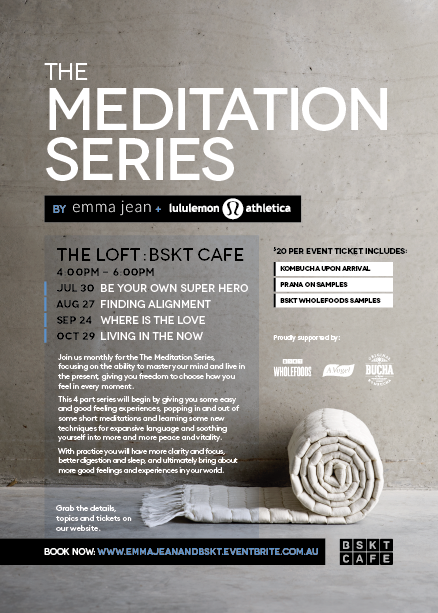 Join us monthly for The Meditation Series presented by Lululemon and Emma Jean. This 4 part series is designed to give you more clarity and focus, better digestion and sleep, and ultimately more good vibes into your life. Finding peace within us is the most powerful thing we can do to create change in our circumstances. This is the place to start, to begin from, the intentional creation of Peace within you will give you freedom to enjoy all the goodness life has to offer you. The ability to be the master of your mind is the greatest Super Power you can ever give yourself. 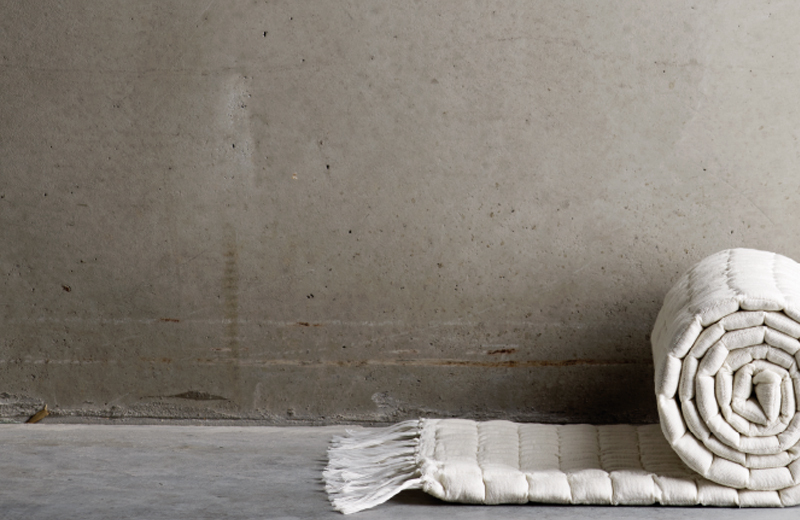 The old saying ‘practice makes perfect’, is absolutely true when you bring anything new into your life. Just like learning to drive a car or like riding a bike, it’s a different experience every time you meditate. Learn how to master frustration, self judgment and the monkey mind through breathing and finding your alignment to your amazing self! Where is the Love? Today we will find something that you LOVE about yourself and we will focus here and fill your whole being, every cell with the LOVE that is ever abounding within you. We will begin the practice of living an unconditional life so that no matter what happens throughout your days you are able to rock and roll and let things come and go and flow with beautiful ease and clarity. This is where the GOLDEN moments are! The Now is essentially all we have. Today you will learn tools to bring you into presence, slow every thing down and allow stress and tension to leave the body whenever and wherever you are. We will pop in and out of meditation again and again and learn all about calling in the energies of LOVE, Vitality and Wellbeing, amongst other wonderful things. Today you will walk away with tools to help you Thrive in your life no matter what’s happening.